Whether he’s making new friends or going to a superspecial sleepover, every day holds a new adventure for Daniel Tiger! 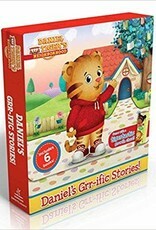 Now children can learn and grow on-the-go with six of Daniel’s biggest adventures in one carry-along boxed set—complete with a tiger-tastic handle! 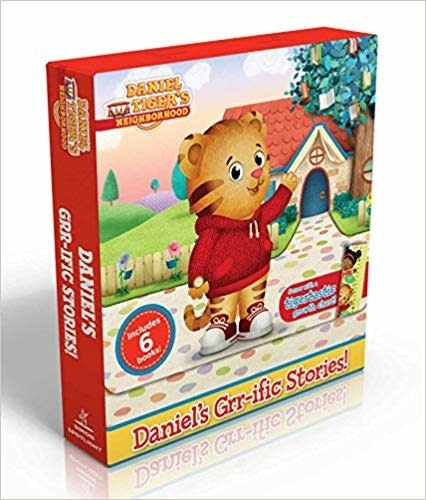 This boxed set includes Welcome to the Neighborhood; Daniel Goes to School; Daniel Visits the Doctor; Daniel’s First Sleepover; Goodnight, Daniel Tiger; and The Baby Is Here!